The Davenport Surname DNA Project was established in January, 2003, to create a database of DNA profiles of male Davenport descendants to aid in genealogical research. DNA analysis can assist in supporting or refuting the premise that two or more participants descend from a common ancestor. To determine possible relationships between the known Davenport lines in the United States, and try to discover how or if they are connected to Davenports in England or other regions of the world. To determine possible relationships between other Davenport lines of British descent (including those in the British Isles and other countries). To assist Davenports not sure of their lineage and to determine which of these broad groups they might fit into. Our testing company, Family Tree DNA (FTDNA), has given the Davenport project discounted prices for the DNA tests. You can find more information here:How Much does it Cost? . The preferred test for our project is the shaded Y-DNA37, although the Y-DNA12 or Y-DNA25 will also work. The 12 marker test will not be as useful as the other two. If at a future date you would like to "upgrade" to a test with more markers then a Y-Refine test may be used. No additional test kit would be required. Family Tree DNA (FTDNA) is affiliated with Dr. Michael Hammer and the University of Arizona, which did the original testing of the Y-chromosome for genetic matches between males. Now FTDNA uses it's own Genomics Research Center. Results are placed in FTDNA's Y-DNA database and when 2 people show the same identical results, the lab will inform both parties (provided both signed the FTDNA Release Form). Project participants will receive a certificate and report from the lab generally describing Y-DNA sequencing and the meaning of the probability between matches. Humans have 46 chromosomes. Our project tests only a small portion of the Y male chromosome at 12, 25, 37, 67, or 111 marker loci sites. The results are compared to those of other men who are potentially Davenport cousins. This test shows kinship and nothing else. This is not a paternity-type DNA test like the U.S. military now uses with all inductees; nor, does it test all 46 chromosomes to reveal personal and private genetic information that some labs could use for medical or insurance screening. Our project only tests part of the male Y chromosome. Depending on the type of test, DNA testing and analysis will take place at the University of Arizona Research Labs, or FTDNA's Genomics Research Center in Houston. Upon completion, the results are returned to FTDNA and released to the Davenport project administrator and the test participant. A 37-marker test will provide a greater degree of detail and visibility to genetic mutations and allow us to more effectively use the results to sort the groups out. In very simplistic terms, the 37 marker test effectively decreases the time back to the Most Recent Common Ancestor (MRCA) by a quarter...from a 50% chance of a common ancestor in 29 generations to a 50% chance in about 7 generations. If we assume a generation averages 25 years, an exact match with a 37 marker test points back to a MRCA born circa 1830 and a 12 marker test to a MRCA born circa 1280. In other words - the 12 marker test can tell if there was a common ancestor within the last several hundred years, while the 37-marker can tell us if the ancestor was much more recent. The 67 marker test can even be more precise. The Davenport Surname DNA Project organizers have no commercial affiliation with any profit making organization and receive no compensation for services or expenses involved with the project. At present, this webpage is maintained for posting DNA results of participants who choose to make their information available. 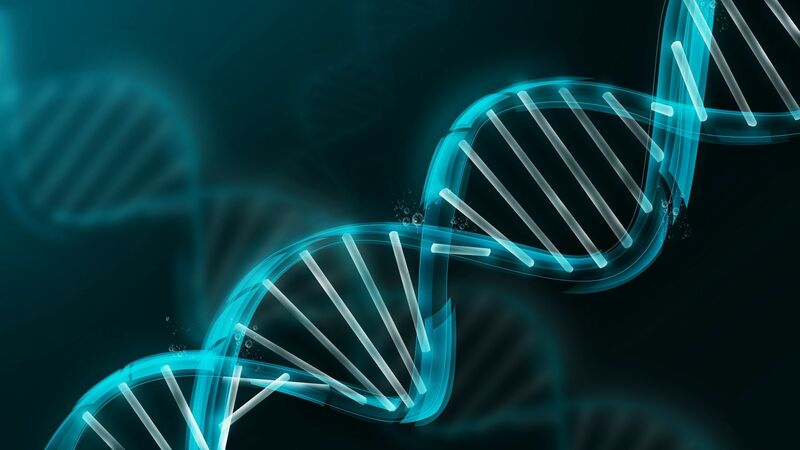 Although the Davenport Project has arranged for discounts at FTDNA, that by no means suggests a business partnership or other relationship between the Project and the Laboratory. All funds are payable only and directly to the testing company. The Davenport Project will not be the recipient nor steward of any DNA samples and has no responsibility for their care, handling or return to participant, nor duty to act on behalf of Participant in mediation of any dispute between the Participant and the testing company. While a match between two participants may indicate that they share a common male ancestor, it will not identify the specific ancestor and there is no guarantee that every participant will match another participant. By participation in the project, the participant agrees to all conditions of the Project. Note: An account is only necessary if you wish to post a message on the Davenport DNA forum.